Community shared through the hands and the heart. It’s more than the chance to learn one of the fastest growing languages in the world – It’s the chance to step into a culture and a community full of new challenges, endless personality and more rewards than you could imagine. Become a part of the William Woods University American Sign Language family and experience the richness of a community full of givers, fighters, thinkers, explorers, achievers, and dreamers—a community that reaches up to achieve new heights while reaching out to help others—a community that we can’t wait for you to be a part of. As one of the top-ranked ASL colleges in the country, William Woods campus in Fulton, Mo. offers a unique combination of academic excellence, affordability, and community. Our walkable proximity to Missouri School for the Deaf provides a rich environment for hands-on experience, collaboration and understanding of Deaf culture and trends. Whether for the purpose of interpreting between ASL and English, or simply becoming a better communicator in work meetings, giving more effective speeches, or avoiding miscommunication conflicts in interpersonal conversations, improving your communication skills through learning ASL is invaluable. Every year, students are selected to participate in one of the country’s largest interpreting conferences, held at Lake of The Ozarks, Mo. The instructors within the interpreting department challenged and supported me. My teachers energized me to learn and encouraged me to become the best interpreter that I could be. The ASL lab was such a benefit to my learning experience, too. Tutors within the ASL lab were there to help further our linguistic development. I learned everything I needed to become a certified interpreter in this challenging profession due to the remarkable state-of-the-art lab with its helpful, knowledgeable lab tutors; the opportunity to immerse myself in the culture and language of the surrounding Deaf community; incredible internship opportunities and, of course, the wonderful teachers. — Ashley Smith, staff interpreter, Birnbaum Interpreting Services, Washington, D.C. 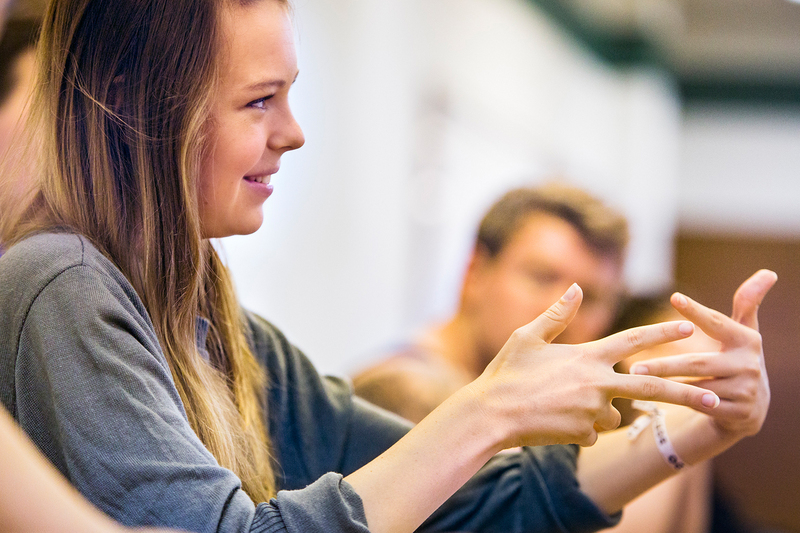 Learn more about our American Sign Language programs that are often ranked among "Best Colleges Offering American Sign Language". Become a bridge between ASL and the English language, immerse yourself in Deaf culture, and pursue a rewarding career in a field you love. 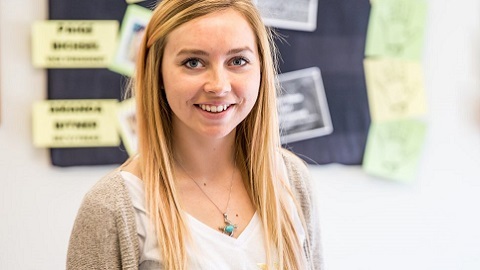 Studying ASL/Interpreting at William Woods has allowed Megan Brown to find her life’s passion. The career options for people who study sign language are limitless. 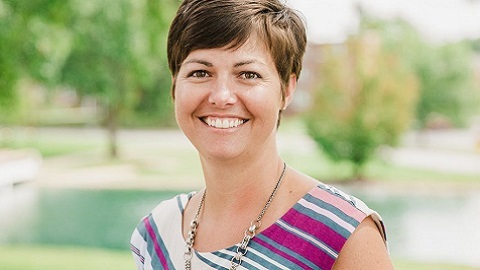 Dr. Carrie McCray explains how in ASL/Interpreting, every day is like a different job. American Sign Language and Interpreting was an interest for A.J. Housewright ’15 since he was a young man. 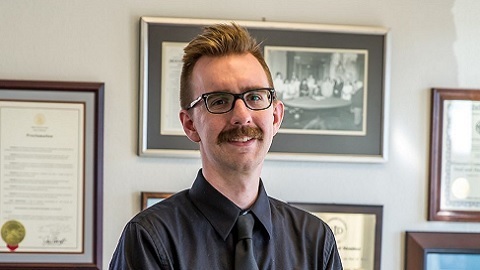 Attending William Woods University allowed him to turn a youthful interest into a career.